Shortly after winning re-election in 1904, Roosevelt promised not to seek the presidency again in 1908. He instead endorsed Secretary of War William Howard Taft as his successor. But differences arose between the two Republicans over the course of Taft’s term, and in 1912, on this date, Roosevelt agreed to run again for the presidency on the ticket of the Progressive Party. An editorial in The Nation criticized Roosevelt as a “defective crusader” whose speechifying was really nothing more than hot air. 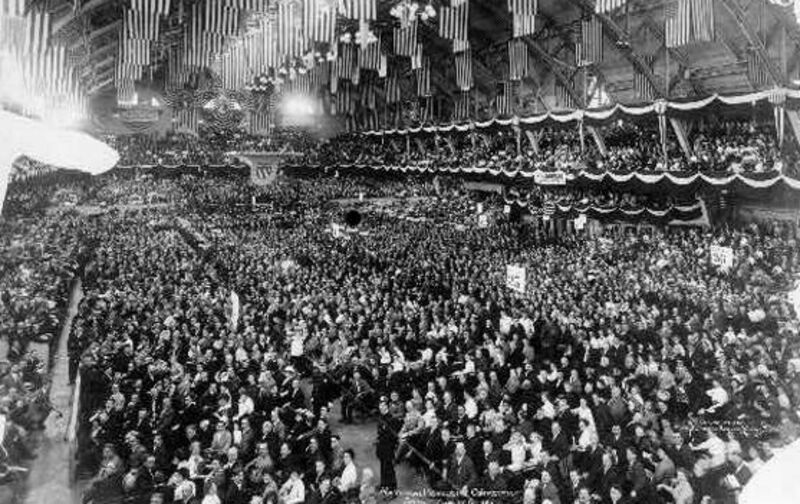 Mr. Roosevelt’s speech at Chicago on Tuesday was intolerably long and repetitious. And a large part of it came from him for the hundredth time. Some of his old ideas he utters with fresh emphasis; but it is evident that he has so frequently emptied himself of all he has to say that nothing remains wherewith he may burst upon a startled world. His new speech launching a new party is only what we have heard from him in wearisome iteration before…. Why, he uses words that are ludicrously meaningless. They read like one of those burlesques of political platforms which have been published to show how politicians can dodge and hide…. Such hollow generalities, however, such absolute lack of definiteness, we encounter in his entire speech. He turns from class to class, and section of the country after section, offering to each a kind of millenial happiness if it will only confide in his wisdom. But when you ask for distinct proposals you get only a fog-bank of words. Mr. Roosevelt talks emphatically of making all his political pledges take on the nature of a solemn “contract” with the people, but if anybody sought to reduce them to precise writing he would find them all escaping in vapor.